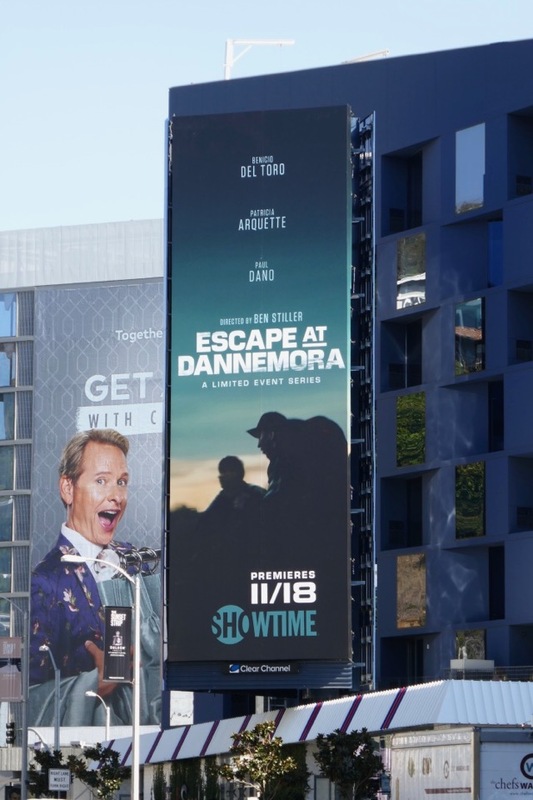 Homecoming series premiere TV billboards.. 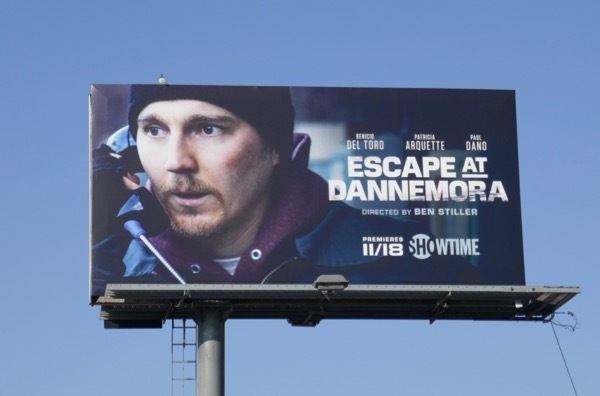 If you're looking for some true crime drama this weekend then maybe you should check out Showtime's Escape at Dannemora. 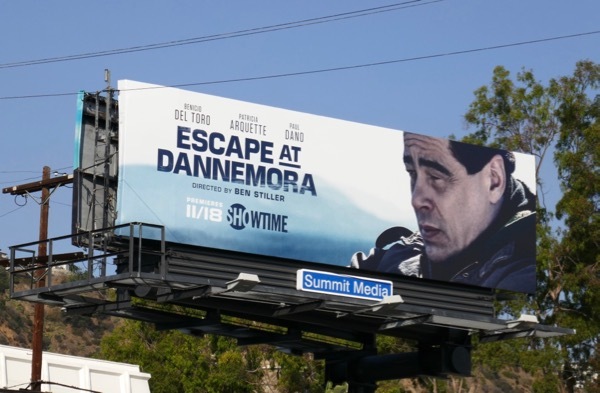 Directed by Ben Stiller, this seven-part limited series shines a light on the elaborate 2015 prison break in the small sleepy town of Dannemora in upstate New York which spawned a massive manhunt for two murderers who'd been helped in their escape by a married female prison employee they'd both become romantically entangled with. 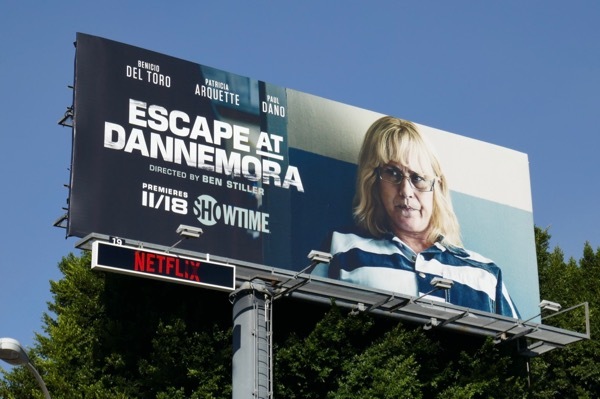 An almost unrecognizable Patricia Arquette plays prison worker 'Tilly Mitchell' at the Clinton Correctional Facility, whilst Paul Dano and Benicio Del Toro play convicted killers 'David Sweat' and 'Richard Matt', respectively. 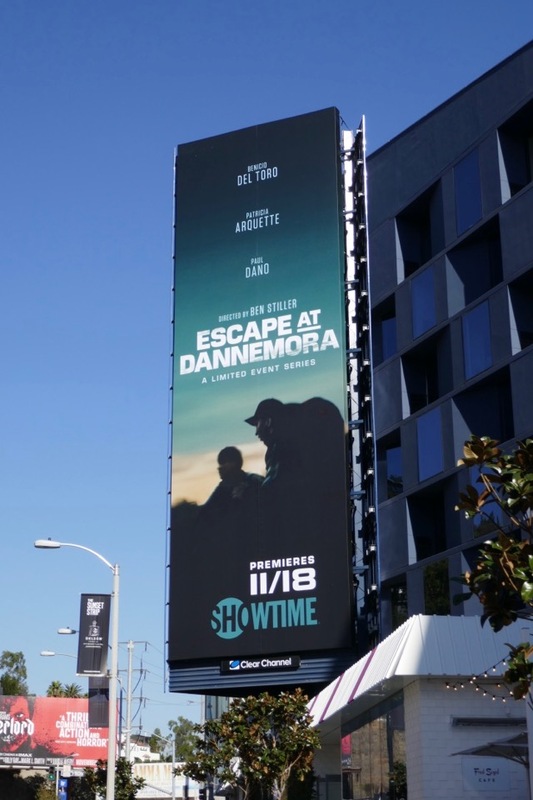 These series launch billboards were snapped in multiple locations along Sunset Boulevard and Santa Monica Boulevard from November 7 to November 20, 2018. 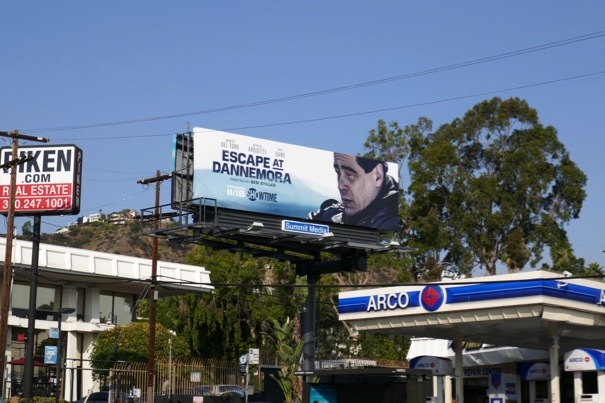 Meanwhile fans of Paul Dano can check out these War & Peace billboards, Patricia Arquette admirers can enjoy this Boyhood movie billboard and for more Benicio Del Toro you can take a look at these Sicario movie billboards. 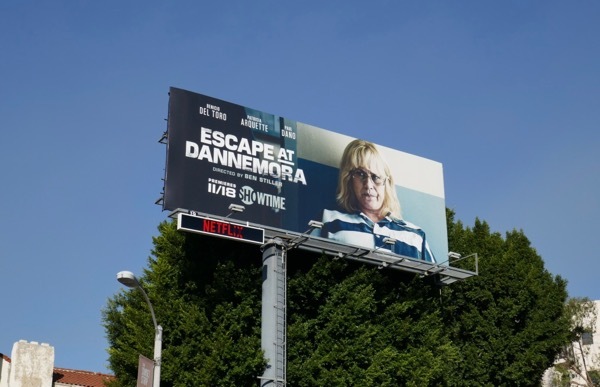 An infamous real-life prison break and a stellar cast and director should be more than enough to provide some thrills for your televisual delight this November.